Managed by Atlific Hotels, the newly designed Quality Inn Northern Grand Hotel in Fort St. John, British Columbia was recently awarded the APEX Award for Best Renovation and Redesign from Choice Hotels International. This national award recognizes superior hotel renovations and redesigns within the Choice Hotels International hotel chain. Helmed by Vancouver-based design firm, McCutcheon Design, the renovations at the Fort St. John hotel were chosen for the award over 248 others. 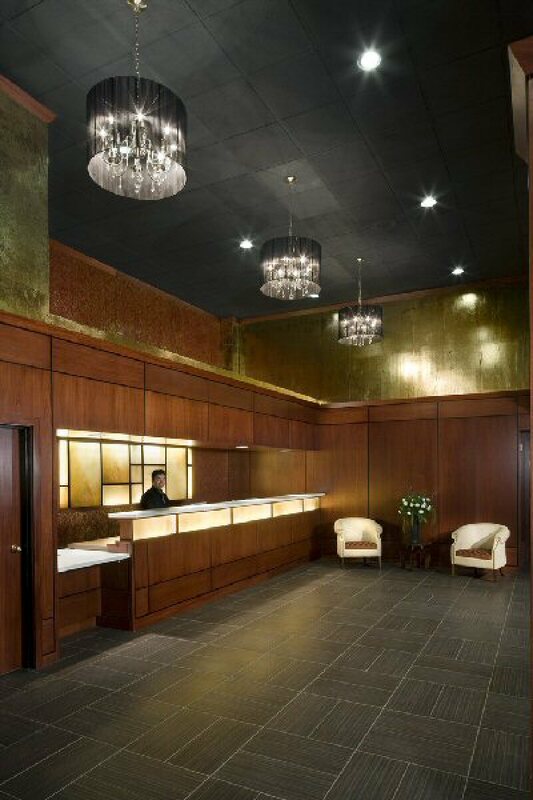 This newly designed property welcomes guests with an inviting lobby featuring rich dark wood and warm hues throughout. The award-winning Fort St. John hotel features a modern, boutique-style design and offers 125 well-appointed guestrooms all of which are now equipped with flat-screen TVs, side chairs, deluxe bedding, mini fridges and microwaves. A complimentary hot buffet breakfast is also included as a part of the new amenities at the Fort St. John hotel. In the evening guests can enjoy one of the cozy fireplaces in the stylish new pub, JD Fitzgeralds Pub & Eatery, previously White Spot. In order to provide guests with everything they need while travelling away from home and the office, the Quality Inn Northern Grand offers a wide range of amenities including a business centre, games room, fitness centre, indoor pool, hot tub, sauna, complimentary parking and complimentary high-speed, wireless Internet access throughout the hotel. Located less than 10 minutes from the North Peace Regional Airport the newly renovated Quality Inn offers direct access to the Alaska Highway and is conveniently located steps away from downtown Fort St. John restaurants, boutiques, a spa and the sports arena. Atlific Hotels also manages a number of other hotels in British Columbia including the Econolodge Fort St. John. Ideally located in downtown Fort St. John, British Columbia, the Quality Inn Northern Grand Hotel is just 10 minutes from the North Peace Regional Airport and offers direct access to the Alaska Highway. The hotel features 125 guest rooms all equipped flat- screen TV’s, side chairs, deluxe bedding, heated bathroom floors, mini fridges and microwaves. 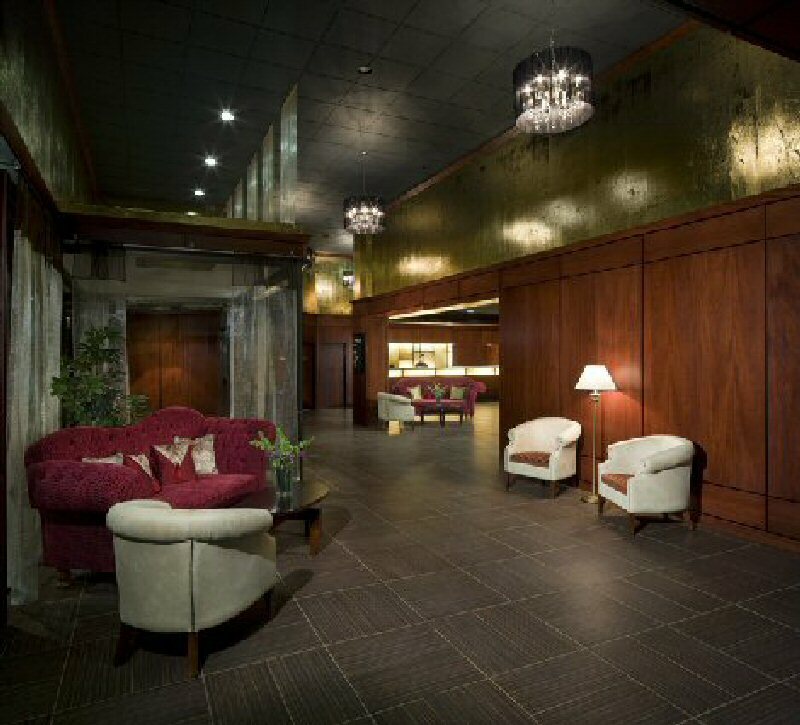 In 2010 the Quality Inn Northern Grand won Choice Hotel International’s APEX Award for Best Renovation & Redesign. Also an award-winner for service, cleanliness and hospitality, the Quality Inn Northern Grand is rated among the best Quality Inn Hotels in Canada. The hotel features 7,700 sq. ft. of meeting space with natural light, onsite catering, a restaurant with live entertainment and a meeting coordinator to arrange every detail.